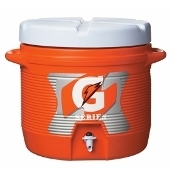 There is no better feeling at the end of the season than opening that Gatorade cooler and pouring it on top of coach after you won the championship game, but that isn't the only reason to keep proper Gatorade products on the sidelines. At Endzone Sports, we offer our football players the best products available in the footbll industry. 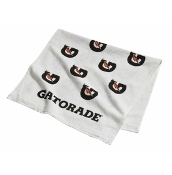 That holds true even when it comes to hyrdation and accessories, which is why we offer a full line of Gatorade products. When it comes to keeping athletes hydrated, Gatorade is un matched by any compeitor just like when it comes to keeping athletes well equipped for football, Endzone Sports is un matched. 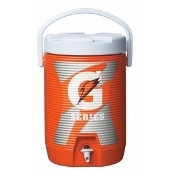 We stock Gatorade Coolers that are 3 gallon and 7 gallon capacity for maximum water hyrdation on the sidlines during gameday. 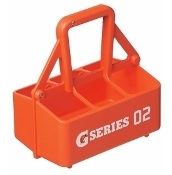 We also offer gatorade water bottles and the holder when the water boys need to run on the field and get some much needed hydration to the players during a time out. 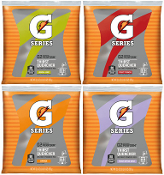 We alos have gthe gatorade sports drink mix in stock to allow our customers to drink the industry standard in hydration. 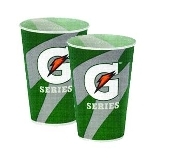 Even if you need some gatorade cups for your players on the sidelines or a gatorade towel for the players to wipe the sweat off between series, Endzone has them in stock!